As someone who writes an extreme amount, it's a necessity for me to have an organized and multifunctional text editor. 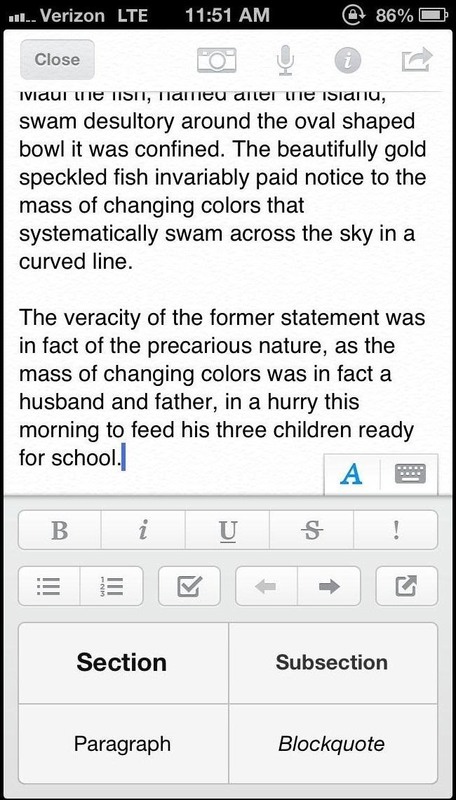 The stock iPhone Notes application is useful to an extent, but it sorely lacks in features and design. 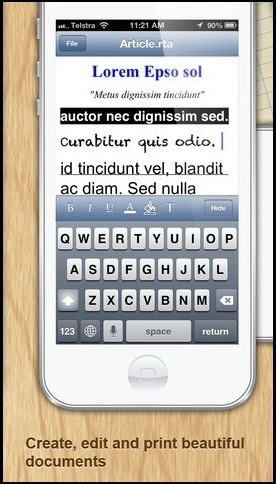 Writing and text editing applications are nothing new to the iPhone, but many of them are overloaded on features, making it even harder to keep organized. 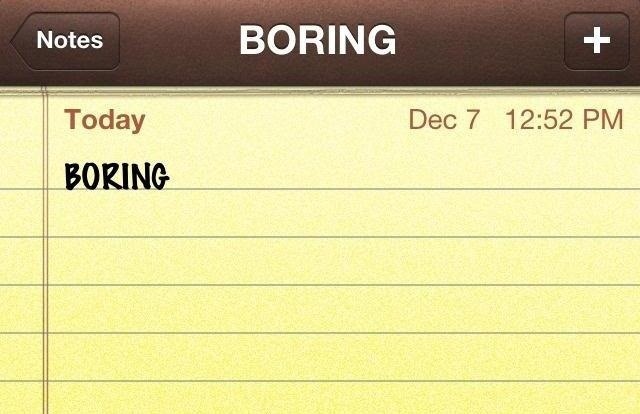 Here are just a few alternatives that I find helpful in my day-to-day writing. Wisdom currently costs $4.99, but has many useful features, while still maintaining a simple and sleek interface. 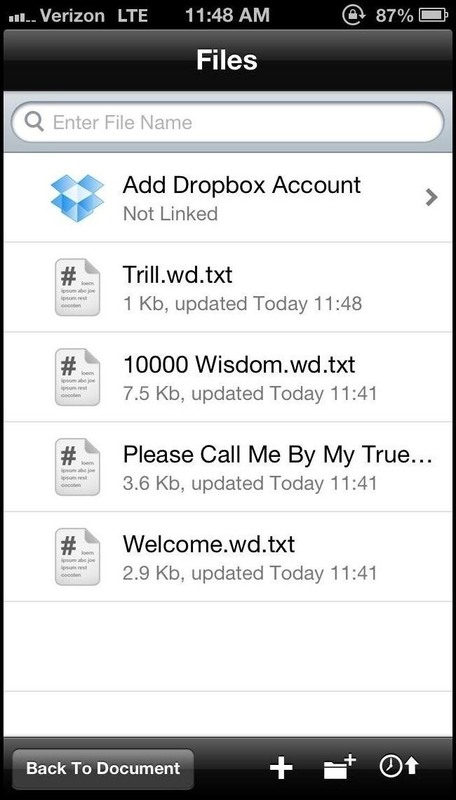 The app has Dropbox support, which allows users to keep their documents synced, which is handy for editing on the go. 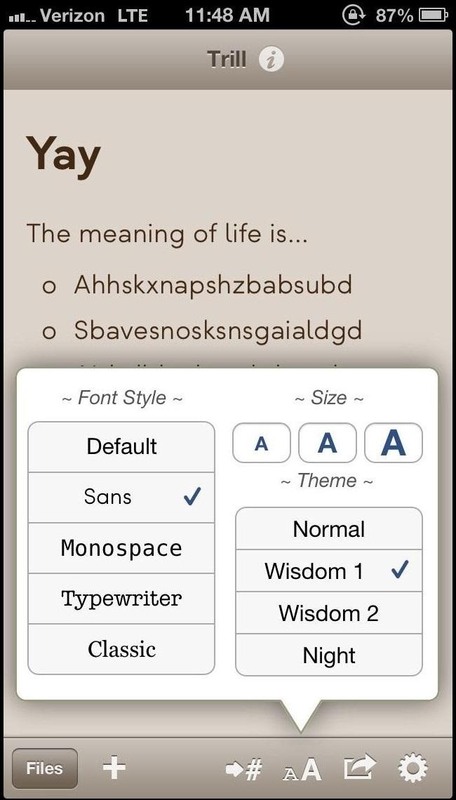 Wisdom's text writing comes with features like headings, lists (bulleted and numbered), bold, italics, and indentation. There is also the ability to undo or redo a change and you can maneuver through your work with the two arrows on the keyboard, which take you from paragraph to paragraph. If you're looking for a free option, Evernote is an easy-to-use app for all your note taking needs. It allows you to take pictures, tag places, leave notes, and scan documents or literature to turn them into PDFs. Evernote also has automatic syncing and can be used on any device or computer, so you can create, open, and edit notes from anywhere. 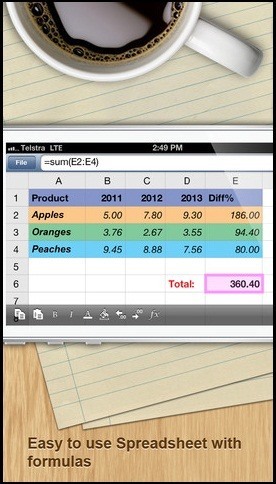 Documents Free is another great free iPhone app for word processing. It's a mobile office suite that allows you to edit and manage text files and spreadsheets on your iPhone, which you can do online or off. It synchronizes with Google Docs and can open files like Microsoft Word, Excel, Open Office and Numbers. Not bad for a free app, huh? 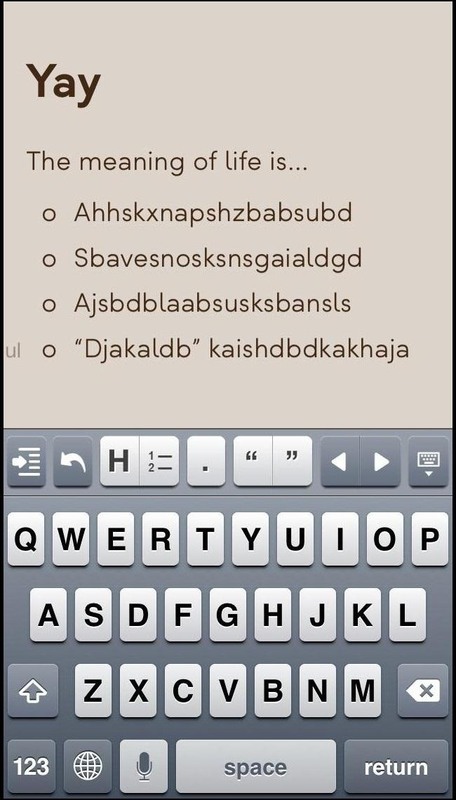 What word processing apps are you using on your iPhone? Let us know in the comments! P.S. 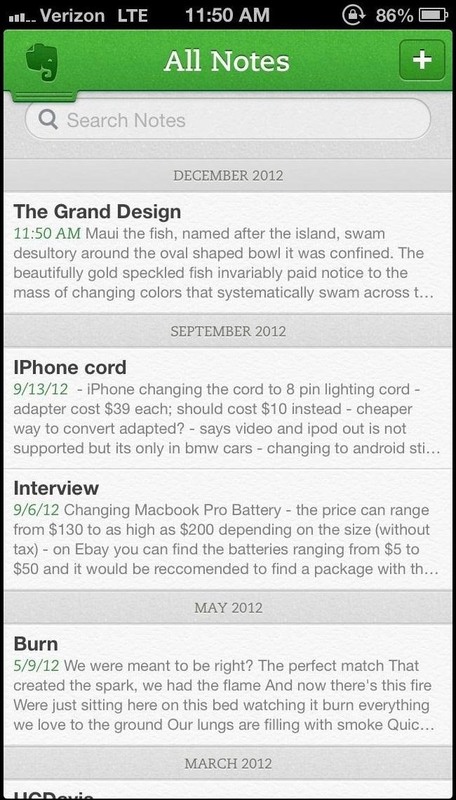 If that's Evernote's iPhone interface now, looks pretty sweet... I'll have to give it another try, it's been a while. 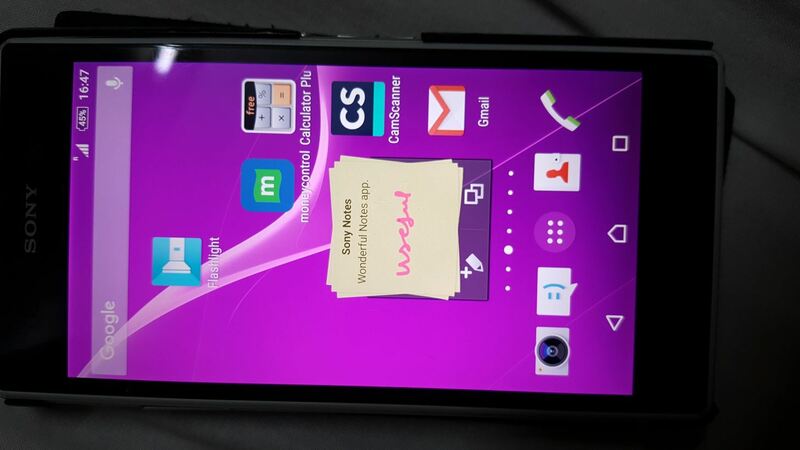 The Best Note app ever used is "Sony Notes" as the widget itself keeps multiple pages of separate Notes behind the latest one. These can be seen, one by one, by sliding down the top most note. Hope someone should make same app for Samsung Galaxy phones.